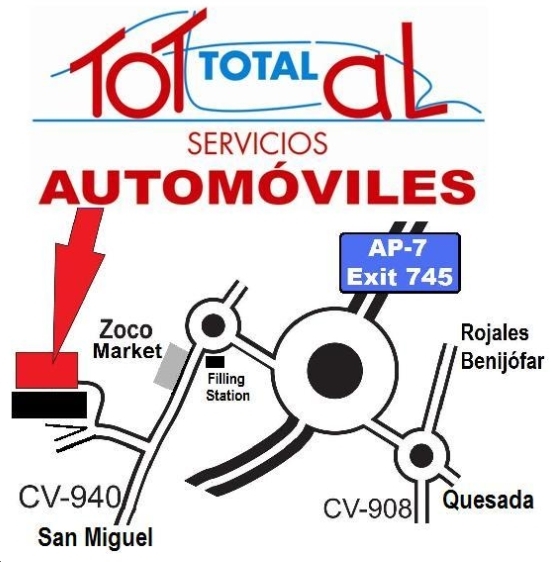 Exit the AP-7 at junction 745 (Torrevieja Norte) and take the road to San Miguel de Salinas. At the next roundabout continue towards San Miguel. Immediately on your right is a large car park, followed by the Zoco Sunday Market stalls. After you pass the market, take the next right, at the green stone bollard. Bear right through the gates, bear right again to the back of the industrial area, and there we are!